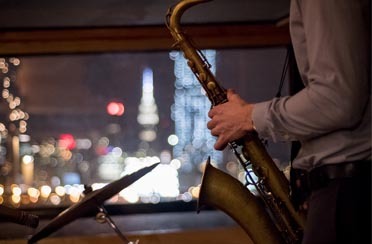 Enjoy some live music on one of our NYC Music Cruises! 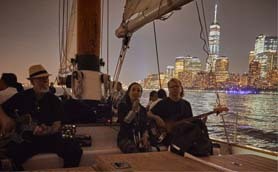 Step aboard our classic boat and cruise around NY Harbor with the city as your backdrop and live music entertaining you. 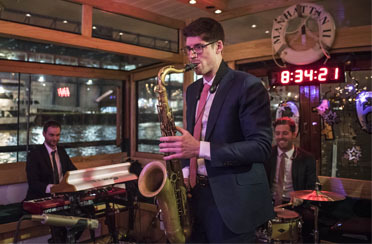 Our in house Jazz Trio — The Soundwaves perform every Sunday evening and other select evenings aboard the yacht Manhattan II. 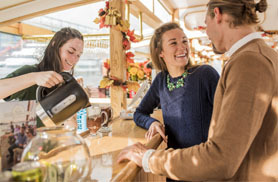 This is the perfect NYC date idea whether you are a visitor in town for the weekend or a local looking for something new. 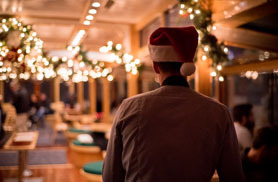 Sip on Champagne and enjoy an evening on the water while our most professional crew caters to you on this fabulous boat ride. Not into Jazz? 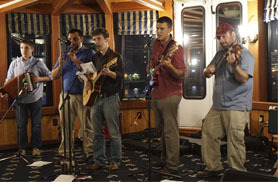 Then jump aboard for a live Irish Music Cruise! 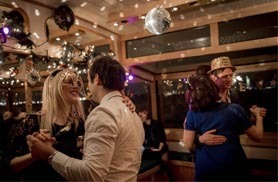 Dance the night away while listening to live Irish music played by the well traveled band: Sláinte! You may hear anything from classic old Irish tunes, to Dropkick Murphy covers (and anything in between) and are sure to have a once in a life time experience. Looking for some romance? 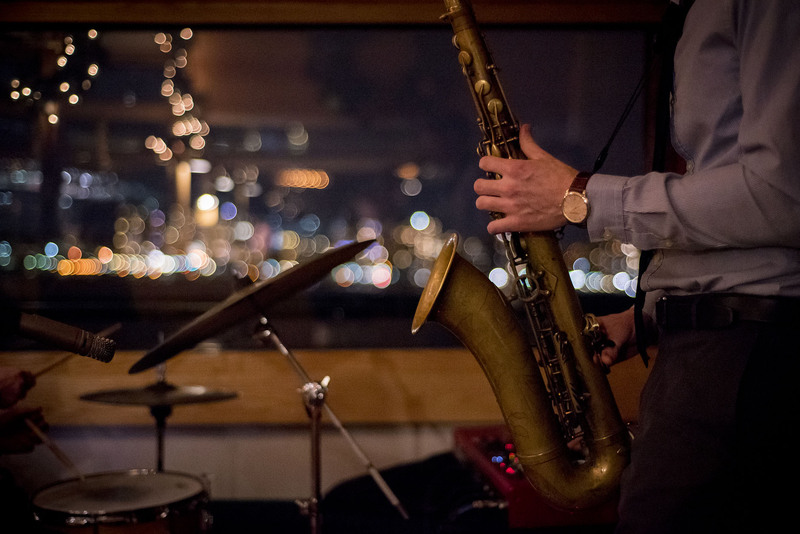 Step aboard the 105 foot schooner America 2.0 for a live Jazz City Lights Sail. 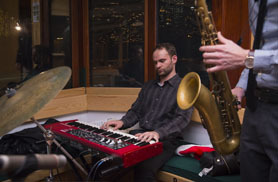 Sit under the star filled sky and listen to tunes by the “Sound Waves”. Which ever cruise you choose, our yachts will give you a whole new perspective of this stunning city and will keep you coming back for more. 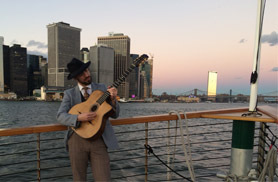 So sit back and relax and enjoy a NYC Music Cruise while live musicians accompany the evening!